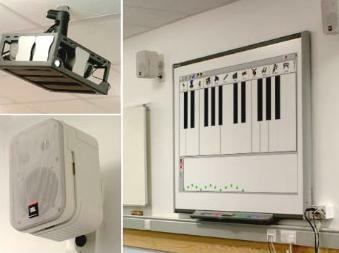 From a small classroom PA system to a complete Music School, the AVE Installation team can design, supply and install your project to the highest professional standards. We have completed numerous, prestigious projects across the US on-time and within budget. Whatever your requirements, please contact us to arrange for a free site visit. We believe that our knowledgeable, professional and friendly service is second to none. Our staff is fully aware of the importance of today's education, so we guarantee 100% satisfaction and ease of use. 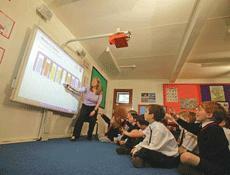 We supply hardware and software to allow schools to teach their students effectively, regularly and cost effectively. Using the correct technology while teaching can reduce the time required to teach by 33% and raise information retention. Distance Learning meets instructional needs by delivering programs to students wherever they are located. The quality of a course offered over distance doesn't have to be less than its on-site counterpart. By including Smartboard products for example in your conferencing solution, you can offer students at all sites a greater level of interaction. We believe that the initial impression a student or member of staff get when they enter a room designed by Audio Visual Effects must be backed up with the ability to use the equipment with ease and confidence. With this in mind we hope to inspire your AV users to communicate in the most vibrant and motivating way possible. To ensure the AV equipment in a room is easy to use, most installations are controlled via control touchpanels which enable the user to set the room and its equipment up exactly as they want by simply pressing one or two buttons. AVE is able to provide services to meet all of your AV requirements from consultancy, documentation and project management. We can also provide ongoing maintenance and support after your installation has been completed.